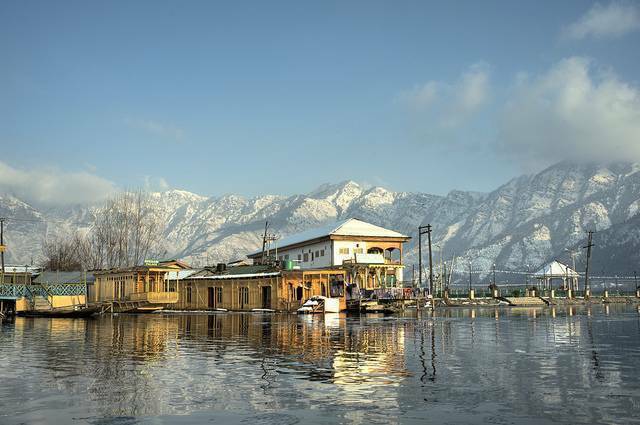 Mentioned in ancient Sanskrit texts, the Dal lake is 18 km sq. natural lake. The dominant feature of the city, it provides a source of income through its natural bounty of fish, water plants and irrigated species. It’s the source and focal point of many of Srinagar’s activities: in summer through boating, fishing and swimming, in winter, when the lake freezes over, skiing and skating. The lake has been surrounded by a number of gardens and in the summer the lilies and lotus’s flower and the lake erupts into colour. A truly beautiful site.